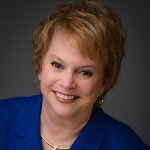 Dr. Linda Henman, The Decision Catalyst™ and the author of five books, including Challenge the Ordinary, works with leaders who want to think strategically, grow dramatically, promote intelligently, and compete successfully today and tomorrow. She was one of eight succession planning experts who worked directly with John Tyson after his company’s acquisition of International Beef Products. Some of her other clients include Emerson Electric, Illinois Tool Works, Avon, Kraft Foods, and Edward Jones. She can be reached in St. Louis at www.henmanperformancegroup.com. 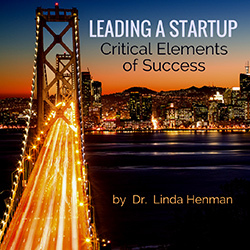 In my work with hundreds of executives, I have observed the critical elements of success, both for the seasoned leader who wants to perform at the next level and for one that wants to succeed in a startup situation. The two share some similarities, but differences exist too. Avoiding the pitfalls is the voice, identifying a clear path for personal and organizational success the echo. People will lie to them and cover up mistakes. The buck stops with them. Their jokes will get funnier. While the qualities traditionally associated with strong leadership, such as intelligence, toughness, determination, and vision are always required for success, they don’t offer a complete picture of what startup leadership requires. In my work with venture capitalists and the leaders they select, I have also found direct ties among self-awareness, self-regulation, motivation, empathy, social skill—and business results. Common sense suggests, and research confirms, that without a responsive, fair orientation, people can have the best training, an analytical mind, and an endless supply of great ideas, but they still won’t make great leaders. What accounts for the difference between the leader who rises steadily through the ranks of an organization versus the derailed startup executive whose career jumps the track short of expectations? If people find the fast track in the first place, they probably know how to get the job done, have shown themselves to be honorable, and offer enough intellectual acumen to succeed. When a leader offers all these and still fails, flawed leadership decision-making may be the culprit. The F2 Leadership Model explains the behaviors—not skills, talents, attitudes, or preferences—executives need to display to be effective in a new venture. F2 leaders have a balanced concern for task accomplishment and people issues. They are firm but fair leaders whom others trust—leaders who commit themselves to both relationship behavior and task accomplishment. They make conscious decisions to balance their approach to leadership because they understand that any other path won’t get them to the success they want. Both prescriptive and descriptive, the model allows leaders to understand their own behavior relative to their direct reports, but by its nature, it implies a preferred way of behaving. In other words, the model explains what leaders should do to be effective instead of merely describing what they tend to do or prefer to do. It addresses behavior and represents an ideal, so no person fits into one quadrant all the time. The upper-right quadrant describes the successful startup leader. These leaders tend to be collaborative and democratic in their leadership style—all the while keeping a keen eye on results. They consistently show a greater capacity to look ahead, to define purpose and direction, to coordinate the activities of others, and to support the organization’s strategy. 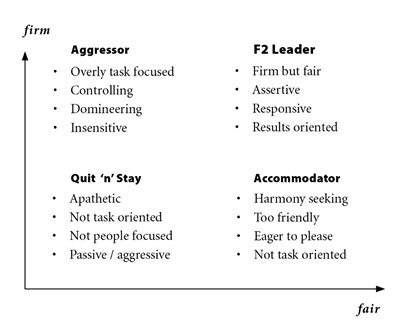 F2 leaders allow the situation, not their own mood or tendencies, to determine the degree of forcefulness they will use, even in the tense environment of a new organization. These leaders resist the temptation to wander into the Aggressor quadrant because they understand that, even though everyone experiences a great sense of urgency to show a profit early and often, if they become too heavy-handed, they will lose the top talent on whom they must depend to achieve success. Get to know people, their strengths, their weaknesses, and their motivators, and then deal with each person as a unique individual. Maintain an “us centered” mentality. Put disagreements and problems on the table as soon as you perceive them. Don’t wait until you are angry or until a crisis is brewing to talk about them. Set clear expectations for each person and hold him or her accountable for both results and decision-making. Give balanced feedback at every turn. Don’t wait until the it’s time for the annual review because in a startup situation, that may be too late. The model sets tension between opposing forces—firmness and fairness—to provide understanding and direction. In general, the model simplifies the way we think about the dynamic and complex dilemmas that characterize the startup leader. More follower-driven than leader-driven, the model helps to keep the leader’s focus on those who count—the people in the organization who define success. It helps leaders figure out whether they are losing balance, tending to act more like Genghis Khan or Mr. Rogers.